Join us for a celebration of all things Irish! 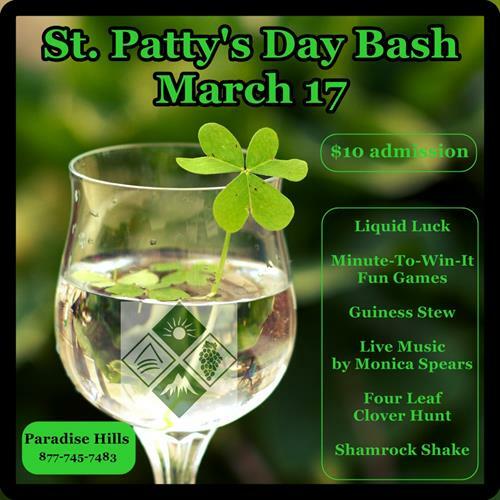 We will be serving up our now-famous Guinness Strew and providing live musical entertainment throughout the event. Grab yourself a glass of Liquid Luck and get your Shamrock Shake on! Don't forget to wear green! Admission to the event is $10.00 per person. March 17th, 2019 from 1:00pm-5:00pm.